Audi recently doubted their gorgeous new car, and now they've officially revealed that fans will get to see it in action when they head to theaters to see Avengers 4. Many suspected that would be the case after Audi brought in Iron Man actor Robert Downey Jr. to reveal the car at a private event before the LA Auto Show, but now Audi has confirmed the partnership in an email to Autoblog. 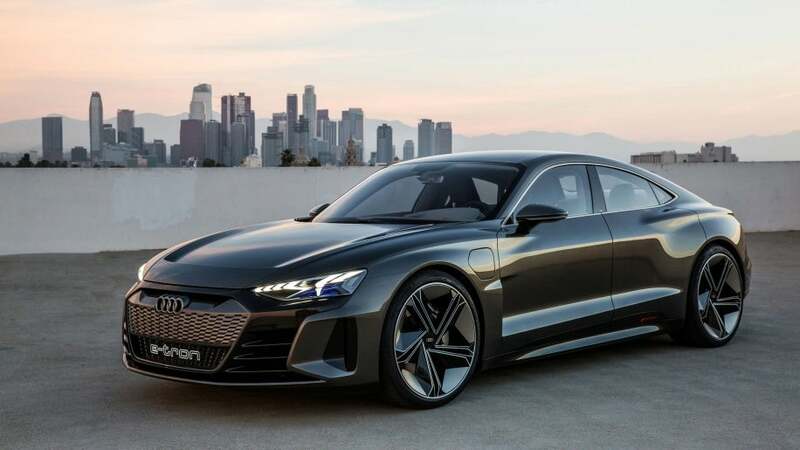 The E-Tron GT will be making its film debut in Avengers 4, continuing a string of appearances from Audi in Marvel films. Audio vehicles have appeared since the beginning of the MCU, as Tony Stark drove an Audi R8 in the original Iron Man, and then an R8 Spyder in Iron Man 2 and an R8 E-Tron in Iron Man 3. Now it will have a vehicle in Marvel's biggest film to date, and it seems the E-Tron GT Concept will be up to the task. The E-Tron GT Concept contains 582 horsepower, which is enough to hit 62 miles per hour from a standstill. It has a top speed of 149 miles per hour, and its battery pack has a 248-mile range, all impressive stats for a concept car. As you can see in the photos and the Robert Downey Jr's unveiling, the car more than fits Stark's need for futuristic looking transportation. I mean, this is a person who flies around the city in a suit of armor, so he does demand the best. We'll at least have to wait until the trailer hits to see the car in action, but hopefully, it isn't too much longer before that happens.